According to the 451 Group, “A data center infrastructure management (DCIM) system collects and manages information about a data center’s assets, resource use and operational status.” When that information is provided in meaningful way, IT and facilities management’s decision making is vastly improved, which allows for better short-term management, and long-term planning and investments. Consider for a moment what happens when data center operators are forced to rely on homegrown solutions like Visio and Excel spreadsheets. Due to the effort required to maintain them, static spreadsheets are often outdated and missing critical information that can only be found in an all-encompassing, automated and flexible solution. With a DCIM tool, data center operators can easily visualize an asset, its location within the data center, its elevation, and all specified details. Additionally, a DCIM tool can identify and prevent potential power problems before you have unplanned downtime. With spreadsheets, you simply do not have real-time power capacity information and are unable to easily visualize the full power chain without being on-site. These are but a few of the challenges DCIM can solve. In the eBook, 40 Critical Problems your DCIM Should Solve, we review six key IT and facilities management challenges: asset management, capacity management, change management, power management, energy management, and environment management; and discuss how DCIM can address these issues by providing real-time views of the data center environment and infrastructure assets, and how much available power, space, and cooling capacity is present. See if your data center challenges are on the list and learn how DCIM can help. 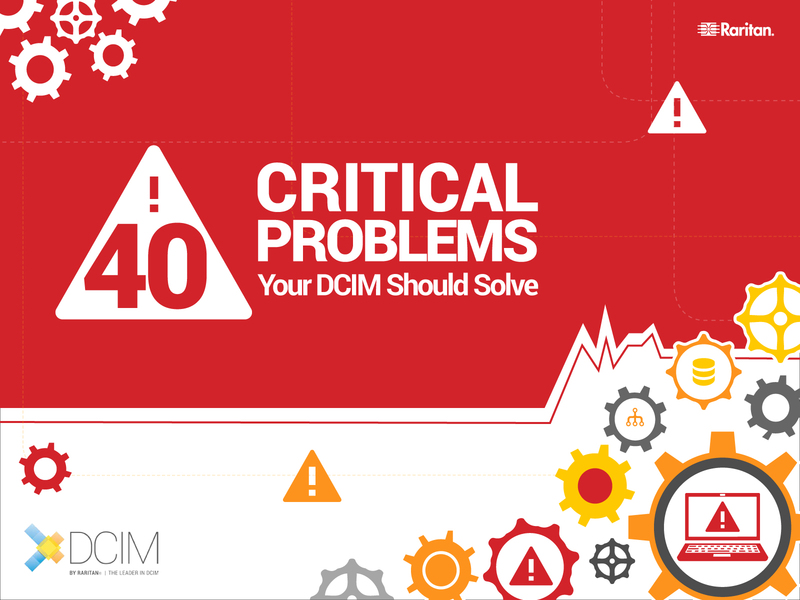 Download 40 Critical Problems your DCIM Should Solve today.